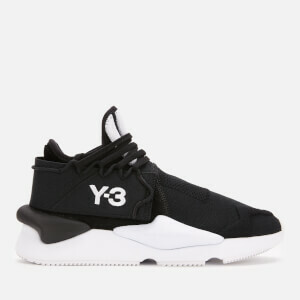 Women's tonal black trainers from Y-3. Designed in collaboration with adidas and Japanese fashion designer, Yohji Yamamoto, the premium sneakers have a sock-like, double layer Primeknit upper and bungee lace-up fastening for an easy fit. The flexible trainers are set upon a chunky rubber midsole and are built with boost™ cushioning for responsive comfort. 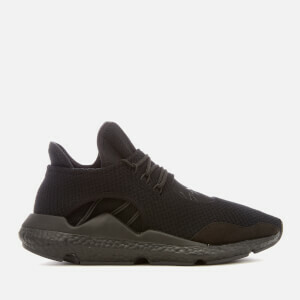 Finished with synthetic suede heel lining, iconic Y-3 signature to the vamp and 3-stripe logo to the tongue.